An iOS app to help kids with speech impediments! Fighting crimes and speech impediments! Although they may be a quiet minority, people who are either born with-- or corrected out of-- speech sound impediments have stories of their own. Often spending much of their childhoods at speech therapists' offices due to these "disorders" ranging from lisps or stuttering to physical limitations of the vocal tract often, affected children find themselves confused and conscious about what makes them different from their peers . 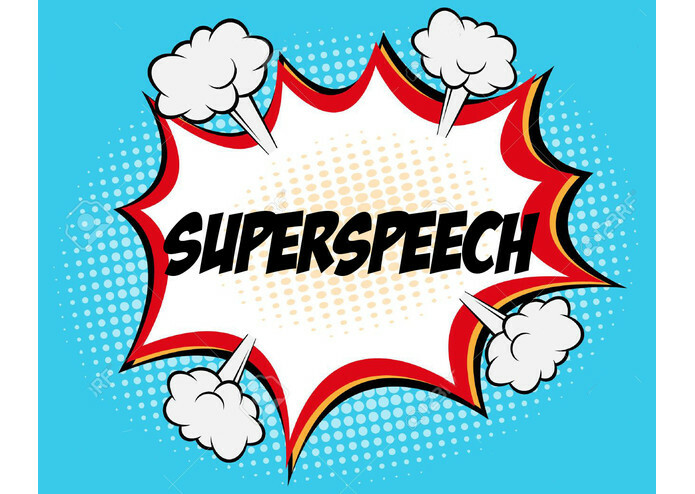 With SuperSpeech, kids in these tender, formative years have the opportunity to normalize their speech in an environment and pace curated for them to control and enjoy. In fact, through endlessly fun Marvel universe quotes and an engaging, interactive UI, the transition through child speech therapy can be removed almost entirely from the mysterious world of hospitals and doctors' visits to a universally familiar, lighthearted phone game. 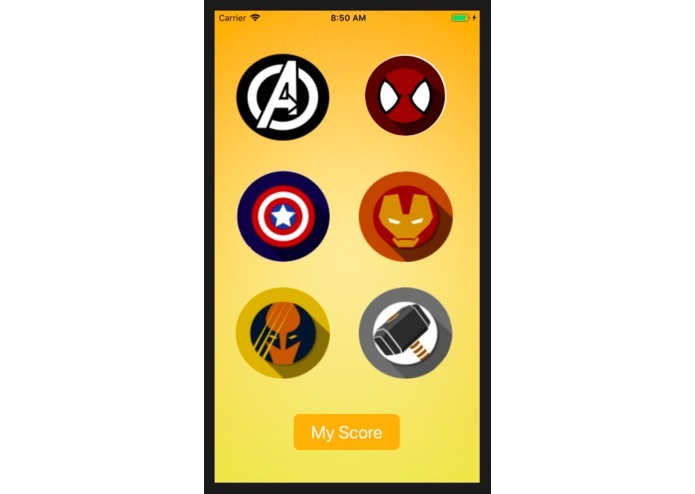 Super Speech provides loads of entertainments for kids to practice their sentence articulation by reading aloud different Marvel quotes, at which point we used the Houndify API for speech-to-text recognition and phonetic pattern matching. 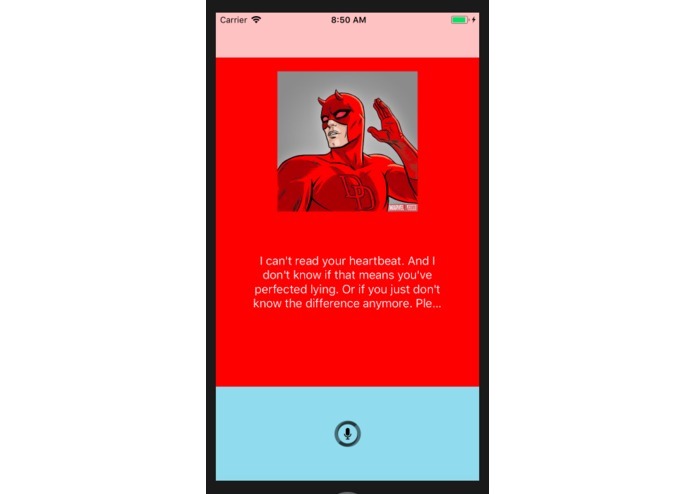 A user will choose their favorite Marvel character, and we apply the Dale-Chell readability algorithm to have the app choose more quotes based on suitable difficulty for them to try saying out loud again, and give them points accordingly. Each quote is presented in the form of a responsive flashcard, and a picture of the character who said the quote pops up if they can most closely verbalize the words on the flashcard. We used the Houndify API and the Marvel API. The front end of the iOS app is implemented in Swift with a generous spoonful of CocaoPods, and the backend is in NodeJS. We transfer post and get requests from an online web server that we set up which uses the Google Cloud Platform. 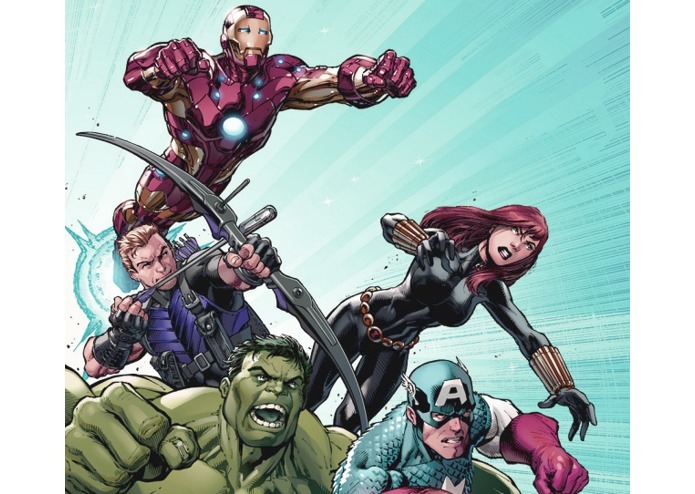 The backend communicates with the Marvel API to get information about various characters and sends it over to the app for display to the user. The iOS app uses SwipeViews to create an aesthetically appealing flashcard-like interface. We should have been more organized in our work process, seeing that we lost many hours trying to merge our branches to master at the same time (conflicts galore). We also were pretty new to iOS development, so getting all the APIs to work could become a struggle. We are super proud of how much we learned in 48 hours! 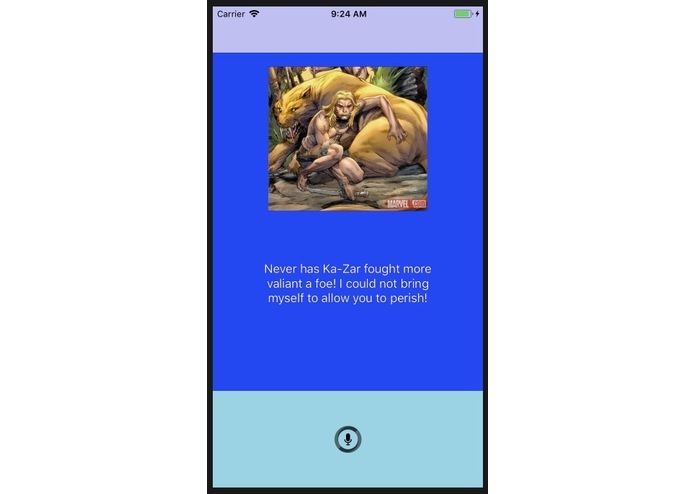 We used CocoaPods, different APIs, and Sprite-Kit for the first time to get the best approximation to our vision of the final product, an intuitive and kid-friendly interface with a bit of a wow-factor. We feel passionate about our project and the potential social impact it could have on kids across the country. We were really put to the test about how iOS development works, juggling the tradeoffs inherent int he process. We learned how to integrate APIs and use CocoaPods, animate UI elements to our specifications, and get hacky with swiftyJSON, Alamofire, Houndify, Moya, CheerioJS and the Marvel API. While coding our backend, we learned tons about web scraping and different Marvel APIs available. And of course, a very memorable education in Git. We want to implement a "Skip" feature, wherein kids are allowed to skip up to 5 quotes if they find them too difficult (and thereby collect data on how we can improve upon the Dale-Chell algorithm). We also want to add quotes from other Disney properties to appeal to a wider audience of kids. It would be cool to use machine learning to give each user a unique experience, most suited to their learning curve/style. We would also like to flesh out the statistics we provide about each of their games, implementing a scoreboard and graphically showing their progress through different levels, partly for the parents' own benefit and ability to learn about their child's growth. Also, an option for non-English languages! I worked on integrating the Marvel API into the frontend. It was my first time using Alamofire, SwiftyJSON, Moya, and many other Cocoapods to help with get requests. I also contributed to overall design and UI. I worked on integrating the Houndify API into the frontend. I also developed the Models (the logic/algorithm for testing difficulty of quotes), using the Dale Chall Readability Formula. I learned a lot about integrating APIs into a project and iOS development. I also did a lot of the graphic design using GIMP.